Work is continuing on the Acadiana Gulf of Mexico Access Channel (AGMAC). It will be 53 miles in length from the Port of Iberia to the Gulf of Mexico. 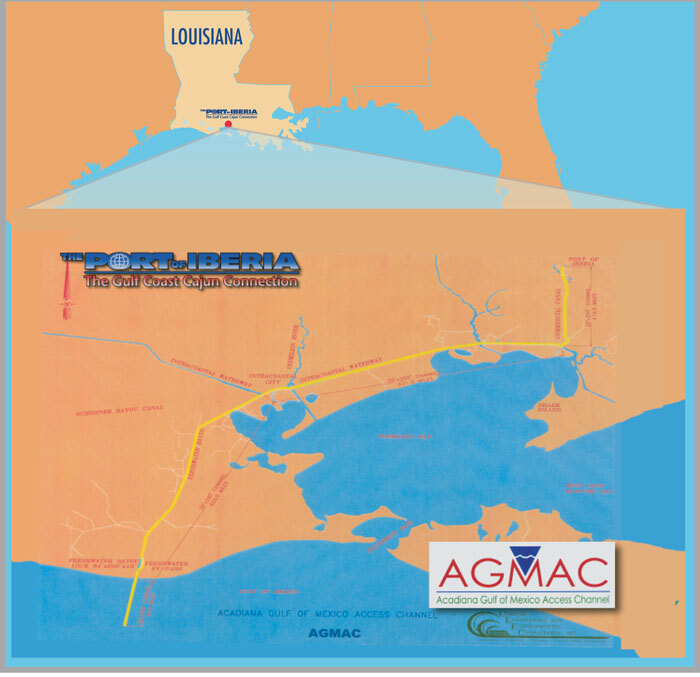 The depth of Acadiana Gulf of Mexico Access Channel (AGMAC) is 20 feet and the width of the channel is 150 feet at the bottom and 250 feet at the surface.